Customer Reviews (4.20 Stars) 5 person(s) rated this product. Get this for the title track alone it's one of the best compositions of its time. The mood it sets and the playing is first rate. The rest of the album is fine and a great listen. Nothing needs to be said about the music. The sonics are superb. A Must Own jazz title. After hearing samples of this album I couldn't wait to get it, and in SACD format I thought I had found the sound I was looking for. I started to listen to the album and it started good, but it soon fell prey to the interpertations of abstract modern jazz. This is my fault it's in the title. 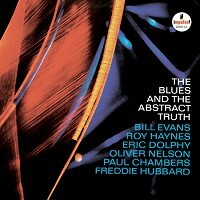 Throughout the album there are hints of what good jazz is and can be. But for the most part the good sounds are few and far between. I must be getting old because I have not found any jazz newer than the pre 1960s (classical jazz sounds of The Duke and Count Basie) worth the time or dollars. Showing you can play and carry a note then not playing well to prove you don't have too? I guess that's Modern Jazz. I wish I had my money back as I have tried to listen to this disc several times and I just can't make it through it. If you are looking for jazz or yearn for jazz with class, a smooth, relaxing steady tempo and beat, keep on looking. Out of 200 SACD's I own (mostly Jazz & Pop/Rock) this is in the top three, maybe #1. It's stunningly good music. I can't find a flaw in any aspect of this disc.